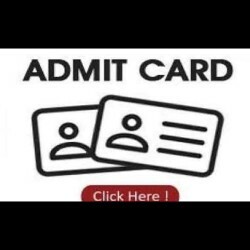 JEE Main 2019 April exam admit card update: The National Testing Agency [NTA] is expected to release JEE Main 2019 April exam admit card on Wednesday, March 20, 2019. Once released, JEE Main 2019 April exam admit card will be available on NTA’s official website. Candidates should keep in mind the steps to download JEE Main 2019 April exam admit card online mentioned below. Step 1: Visit the official website – jeemain.nic.in or nta.ac.in. Step 2: Click on the JEE Main 2019 April exam admit card option [to activate soon]. Step 4: Download JEE Main 2019 April exam admit card.